I made this last week and it took 30 minutes, maybe less, and the flavors were incredible and we were celebrating ONE YEAR IN OUR HOUSE so it seemed like a good night for steak. Got any nights coming up that might mandate steak? This is the recipe to try, if so. Even if that night coming up is, say, Thursday night. I love how simple this is, but you get so much flavor from the lemon/rosemary combo. Seriously. 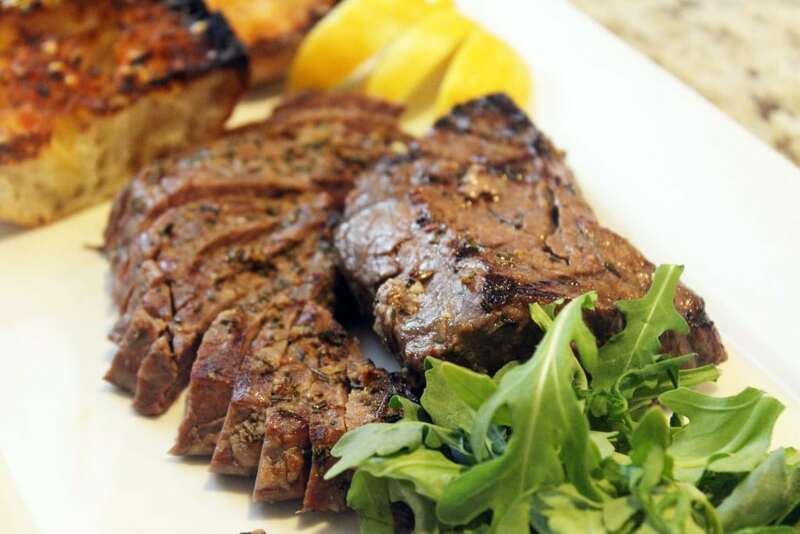 For steak, I like tender, lean sirloin – the piece I had was kind of round, so I sliced it into two steaks. 1/4 pound is MORE than enough per person, since we slice it and, frankly, no one needs a ton of red meat all in one sitting. Sorry kids. 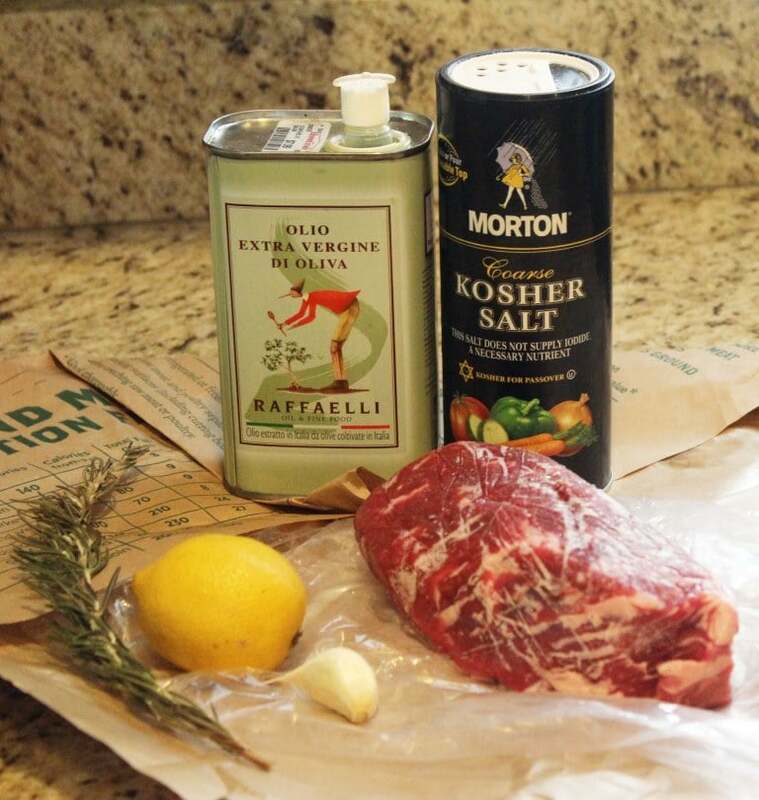 Besides steak, you need salt, olive oil, rosemary, and lemon. That’s it! 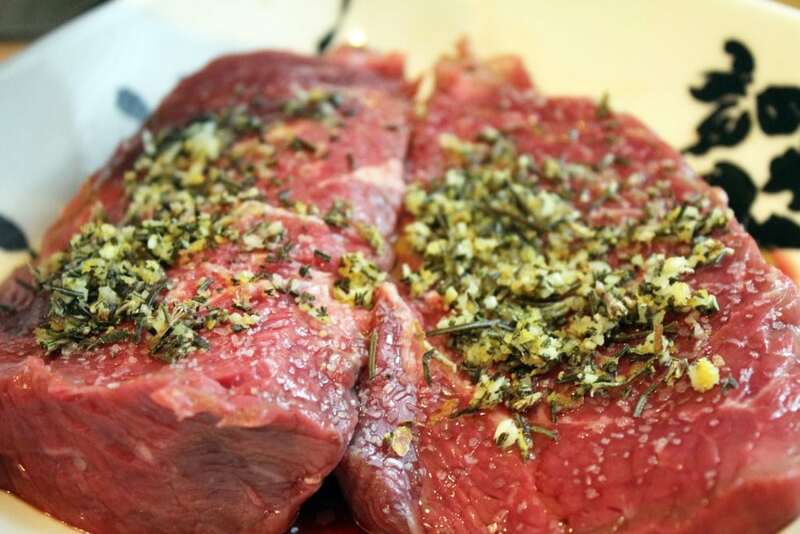 First, make sure your steak is at room temperature if you’re going to cook it right away. This doesn’t need a lot of marinating time, so get the steak out of the fridge at least 30 minutes before you’re going to cook it. Then, let’s make the rub. Zest the lemon onto a cutting board and use the same grater to grate the garlic, then strip the leaves from the rosemary sprig. 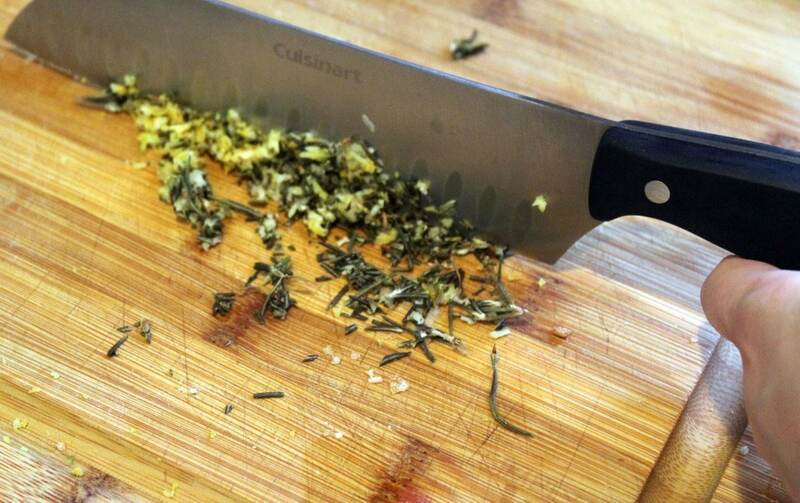 Now, chop up the ingredients finely to form a blend. 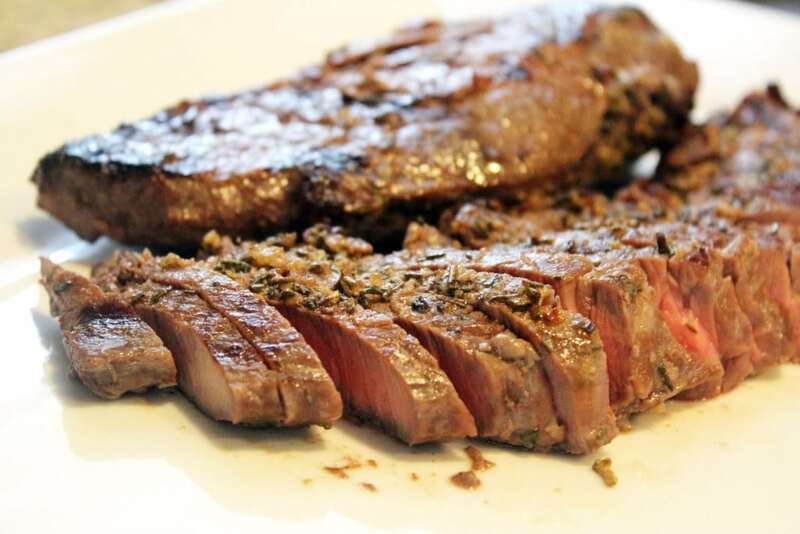 Drizzle the steak with the olive oil, and sprinkle it with salt. Then, rub it all over with the rosemary mixture. YUM. 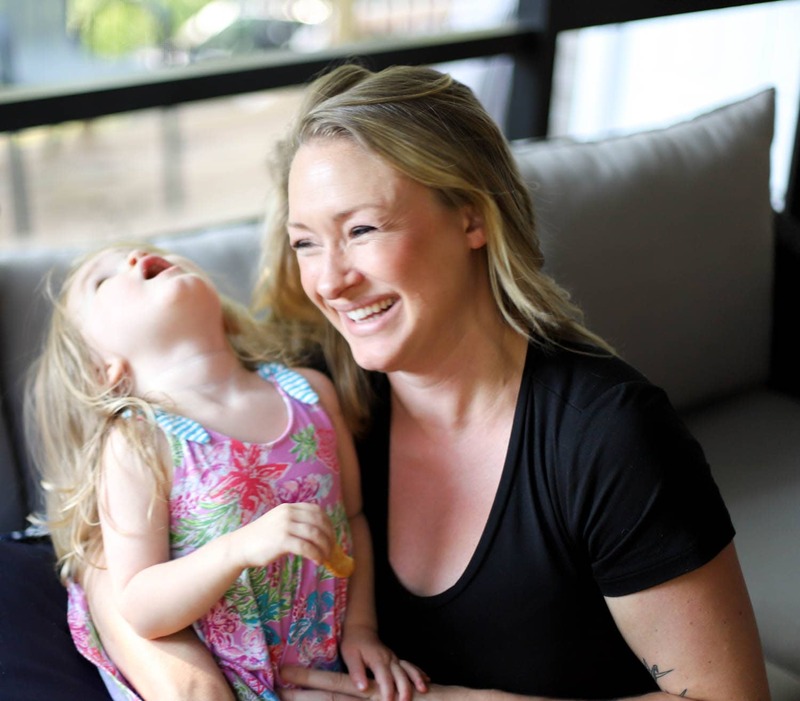 Now, you could let this sit for just a few minutes while you heat up a grill or grill pan, or you could let it sit out for 30 minutes, or in the fridge for a few hours, or even over night! Just be sure it’s at room temperature when you’d like to cook it. 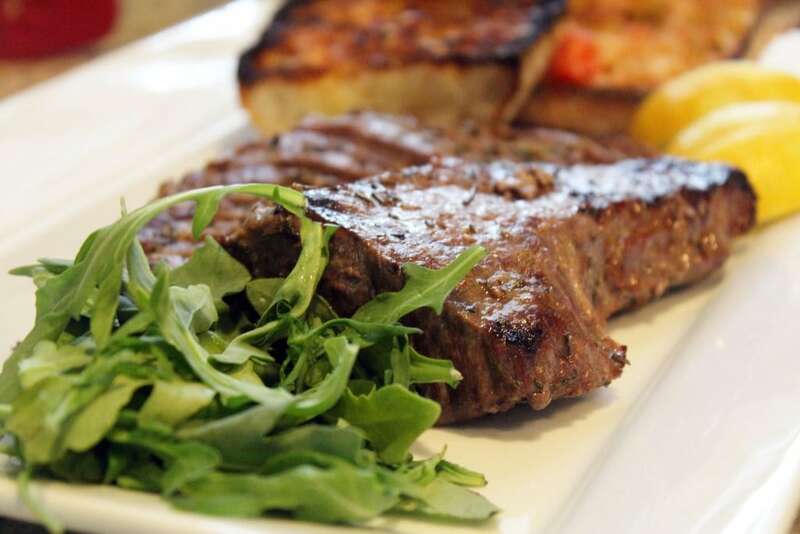 To cook the steak, we want to grill it over a medium-high heat level. The steak should sizzle a LOT when you put it on the grill/grill pan/skillet! Once you add the steak to your grill, let it sit – don’t fiddle with it. This’ll ensure that it gets nice grill marks. After 4 – 6 minutes, depending on the thickness of your steak, flip the steak just once to sear the other side. My steaks were slightly less than 1 inch thick, so 5 minutes on each side was about perfect for a medium/medium-rare temperature. Cook the steaks until they’re done to your liking, then LET THEM REST. Like, for 15 minutes. The steak will be back to warm/room-temperature, and that’s a good thing. 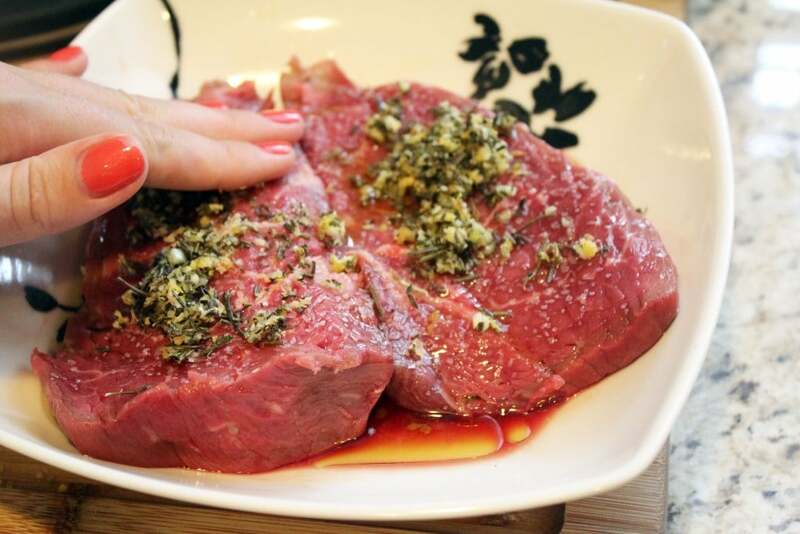 If you slice the meat too soon the juices will run everywhere and your meat will be dry and you’ll have wasted perfectly good steak coated in rosemary. Trust me. Wait for it. When the meat has rested, slice it thinly against the grain. 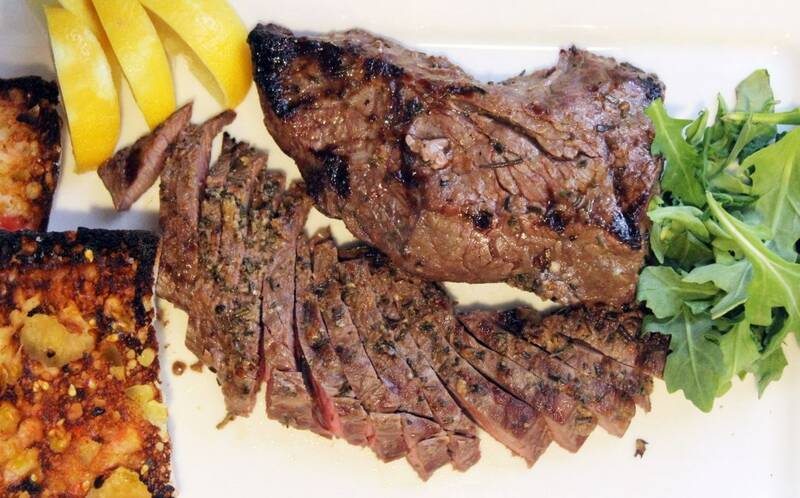 Save any juices from the resting plate that DID run out, and pour them over the sliced steak when you serve it. 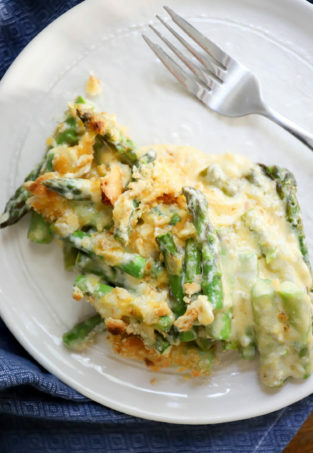 Serve this with lemon wedges from the zested lemon, and anything else you like! I added some arugula and bread because I felt like it. The bread…..oh, the bread. I’ll tell you about it next. Enjoy this, guys! 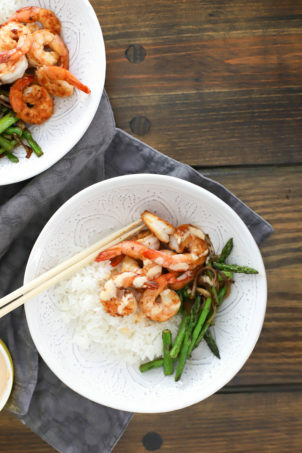 It’s a really simple preparation, but the flavor is EXCELLENT. Maybe good for a Memorial-day cookout? Think on it. Make it happen. Shared with my buds @Weekend Potluck. 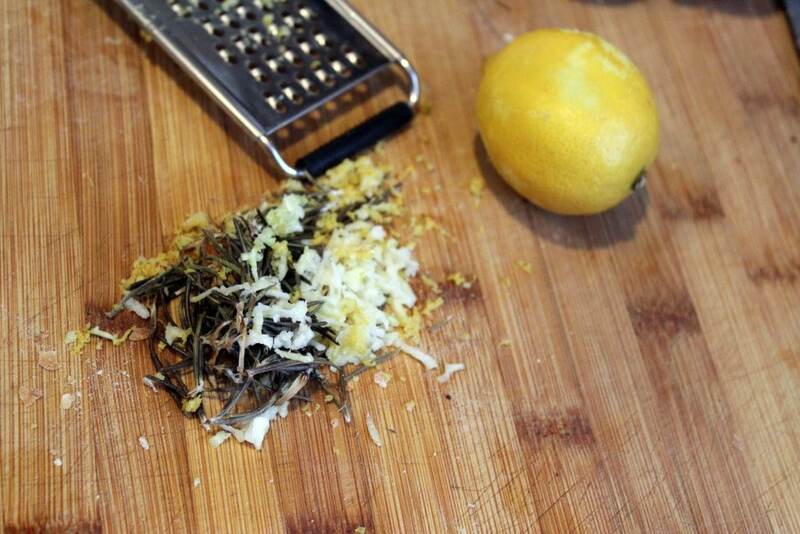 Combine the lemon zest, salt, and rosemary leaves on a cutting board. 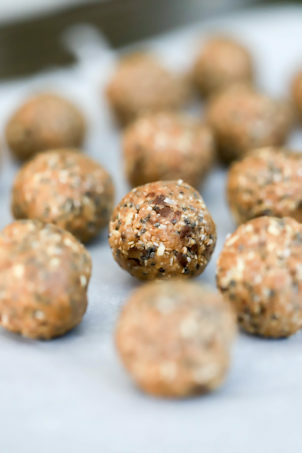 Chop the ingredients together to form fine crumbs. 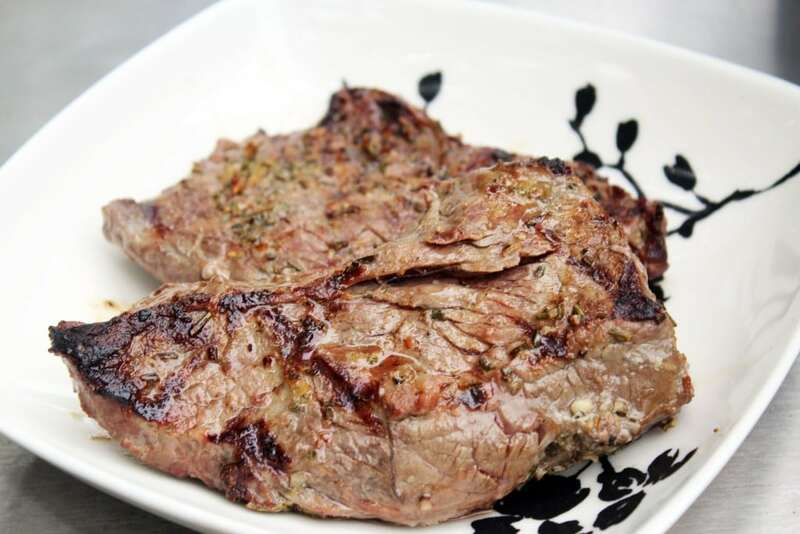 Drizzle the steak with the olive oil and sprinkle with the salt, then sprinkle both sides of the steak with the rosemary mixture. 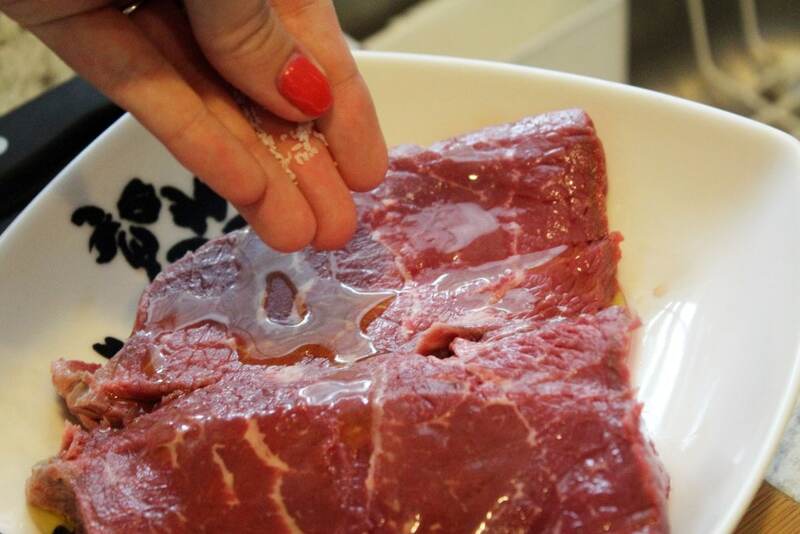 Press the coating into the steak with your hands. Let the steak rest for 15 minutes (or longer in the fridge if you have time). 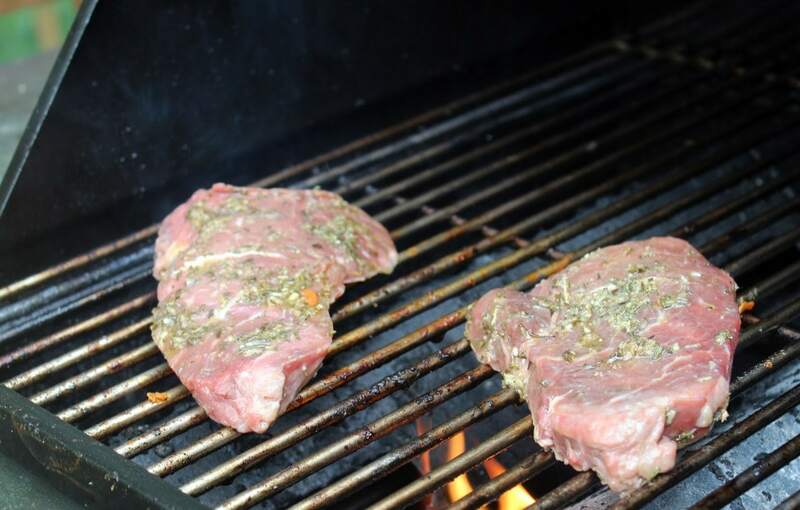 To cook, preheat a grill pan or grill to medium-high heat. Grill on both sides, turning only once, until the meat develops a nice crust or grill marks. 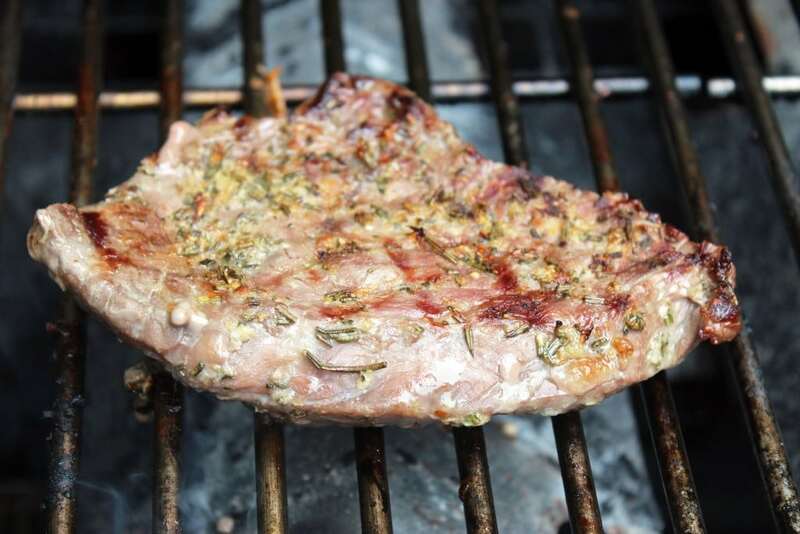 For 1-inch steaks, 4 minutes on each side is usually perfect for medium-rare steak. 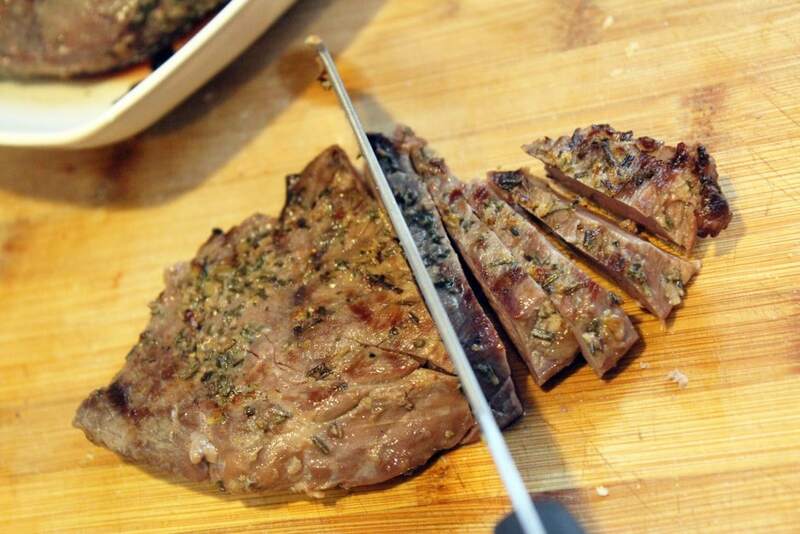 Allow the steak to rest for at least 10 minutes, then thinly slice against the grain. Serve with lemon wedges and arugula, if using. I have a flat iron steak that is looking sad and lonely in our fridge. 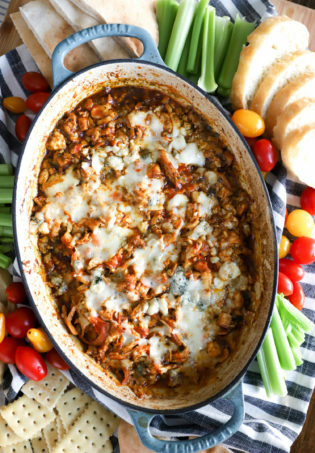 . . this recipe is happening tonight!